Revolution - Coming to a Town Near YOU!! People power is accelerating Tunisia and Egypt out of the blue, have had what can only be described as miraculous political transformations in the past few weeks. When examined, the series of events that lead to sudden and dramatic change in both Tunisia and Egypt was a case of the classic tipping point. People power is accelerating – the situation has simply snowballed. The attractor state is definitely in, strongman dictator Mubarak is out and Elsewhere in the Middle East and North Africa the spot fires of revolutionary unrest are spreading. Unrest has been reported in Bahrain, Libya (who would dare stand against Gadaffi?) Yemen, Jordan, Kuwait, Iran. Algeria . . .even China has been having unrest in Beijing no less. Something is definitely up. In the UK and even here in normally placid Australia the forces of people power have been winning skirmishes and winning the day – it really is accelerating. A current headline in the Green News is a case in point: Britain backs down on sale of forests. The story runs LONDON: Faced with an outspoken public determined to protect Britain’s woodlands, officials struggling to overcome a devastating budget deficit cancelled plans to sell nearly 260,000 hectares of forests. Britain’s Environment Secretary, Caroline Spelman, told parliament the backdown came after a massive public outcry from environmentalists, MPs, entertainers, the Archbishop of Canterbury and many others. 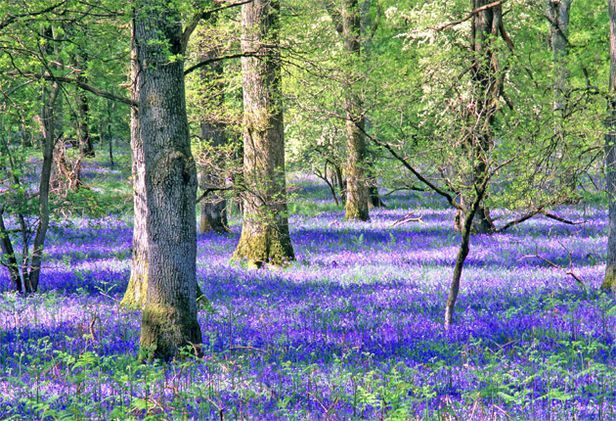 Hundreds of thousands signed an online petition against plans to sell woodlands and forests. How about chopping this down for a few fast buck$$$$ ? Well something is accelerating! In Australia’s own localised version, people power has forced the Government to restore funding cuts to the Solar Flagship Program. And rightly so! 20 days — that’s how long it took GetUp members to win the campaign to restore funding cuts to the Solar Flagship Program, which supports large-scale solar power stations in Australia. Trumpeted environmental site Clear The Air. It does make you wonder if all the players in these dramas have been tuning into the fact that . . . according to the Mayan calendar the world as we know it ends on the 21st December 2012? Oh surely not. That is preposterous. Well . . . people do seem to be singing from the same prayer book as they say. Yes it certainly seems to be true: people power is accelerating. Could it be that at some deep and connected level we subconsciously know that it’s time now for the world to be born anew? So is it really people power? Dear God let’s hope so. Gosh . . .I wonder what will become of the world’s most hated company Monsanto? Friends . . .we are indeed living in exciting (and if you work at Monsanto maybe even interesting) times. May God-Goddess bless you all since just coming here to play in this massive drama was in and of itself apparently an amazing gesture of love, with added cosmic significance – if we are to believe our contemporary scriptures. The revolution is still being televised. Steady on Camera 2. A Little quote from Marshall McLuhan’s The Medium is the Massage can take us out. The shock of recognition! In an electronic information environment, minority groups can no longer be contained – ignored. Too many people know too much about each other. Our new environment compels committment and participation. We have become irrevocably involved with, and responsible for, each other. Sheesh . . .All you can eat. People Power is accelerating. I love your comment, have you considered adding and RSS feed feature? That will allow me to get automatic notifications of new sites. If you set up updates via RSS, please email me! I will fav your layout for now. Again Excellent post!